Praise the lord, the fabled Battlefield 3 exists! 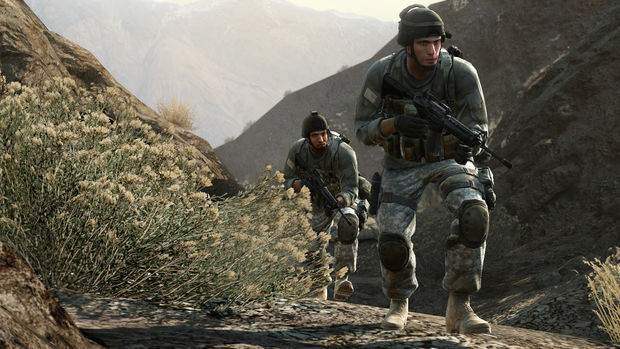 IGN is reporting that the Limited Edition of the Medal of Honor will come bundled with the Battlefield 3 beta–in addition to the extra game (for the PS3), weapons, and camo which we already know the LE will include. Not much else is known about Battlefield 3 at the moment–but it exists! Posted on July 30, 2010, in News and tagged Battlefield, Battlefield 3, DICE, Medal of Honor, MOH. Bookmark the permalink. 3 Comments. As awesome as it sounds, it’s a bit backwards logic isn’t it? You’ve just relaunched a brand and want it to do well, but now you’re using the lure of a different brand to attract sales/preorders. Seems a bit Crackdown/Halo to me. I haven’t played either Crackdown though, but going by how CD2 was received, I’d say CD1 was a success by and large because of the Halo 3 beta keys. Just for clarification though, this is Battlefield 3, rather than Bad Company 3, right? If so, then by god it’s about time! As a business model, it’s pretty solid, actually. You get a game, then two months later, as you tire of it, you get the beta of a brand new game! You get pumped about that, but don’t play the beta too much. You buy it, do some unlocks, realize, “I’ve been playing this game for free forever!”, and play the beta it comes with.